mon petit lyons: Covert Robin Giveaway Winner! It's finally here! The Covert Robin Giveaway Day! 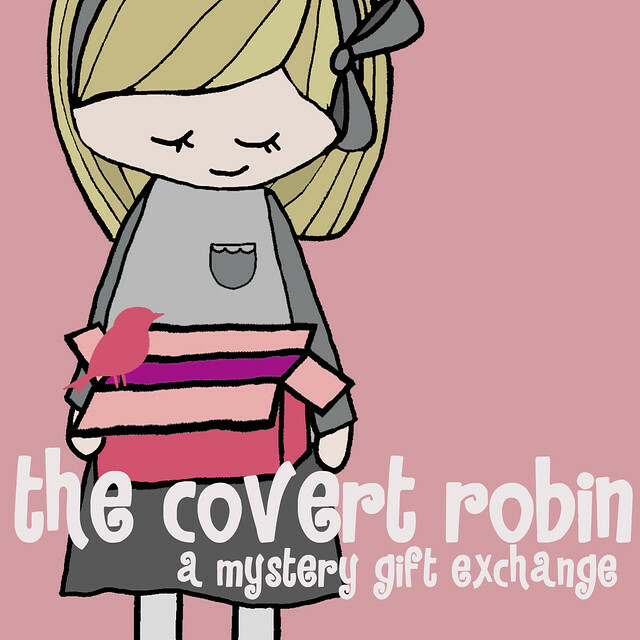 All of the blog hostesses from the Covert Robin Swap will be announcing a winner on their blogs today. Here is the linky party for the Covert Robin. A complete set of fat eights of Pezzy Prints! I hope you're as excited as me. Jennet of Feathered Nest Studio. She posted here about the darling coaster set & extras she made and the beautiful cushion cover she received. Congratulations, Jennet! I will be sending this fabric your way soon! By the way, you really should check out Jennet's blog. I mean any blog with a recipe for PB & J Waffles goes into my Reader's subscription list!